Several years ago, The Mr and I lost a lot of weight. He lost 65 pounds, and I lost 85 pounds. And, more or less, we've kept it off. And yes, those two things are related. Chicken is low in fat, allowing you to eat more for your calorie budget. More for less is better. Chicken is also reasonably economical. 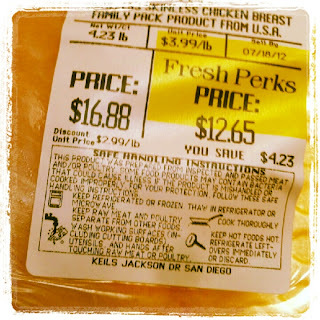 You can almost always find some kind of chicken on sale. The problem with chicken breasts is that we often cook them improperly and they end up tasteless or dry or rubbery. No one wants another tasteless, dry or rubbery chicken breast. Even if it has fewer calories. 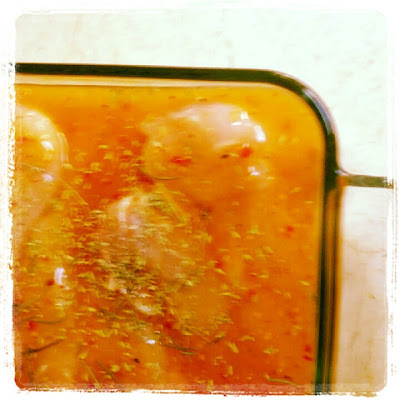 The first thing I usually do is spend a bit of time marinating the chicken. 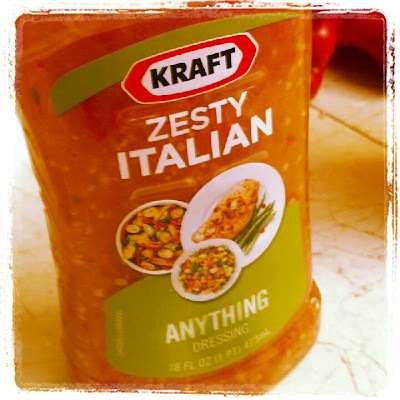 Salad dressing works, also lemon juice, balsamic vinegar, even salsa. Something that imparts some flavor. I marinate my chicken in a glass casserole pan if I plan to eat it the same day, or in two separate gallon-sized freezer ziplock bags if I don't. Marinate for at least two hours. 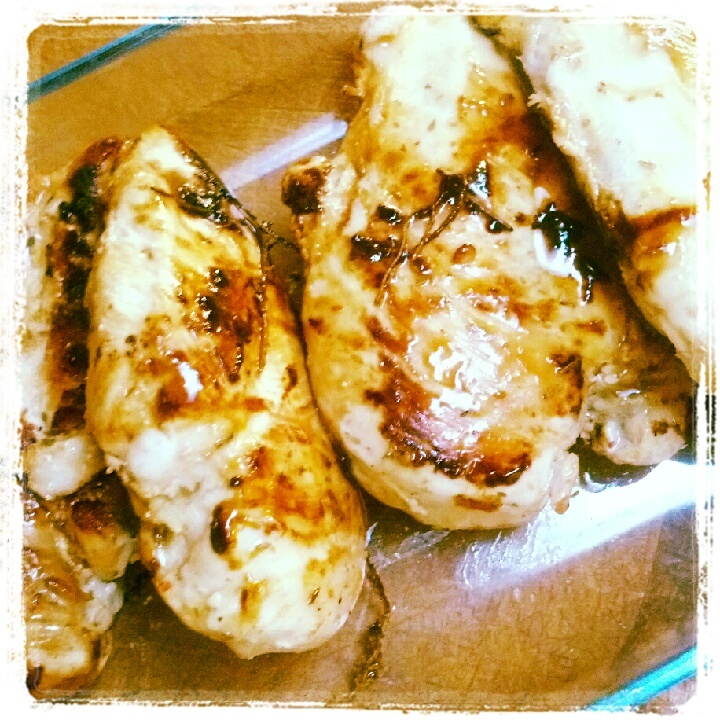 You can marinate your chicken overnight - unless you are using a lot of citrus juice or vinegar. 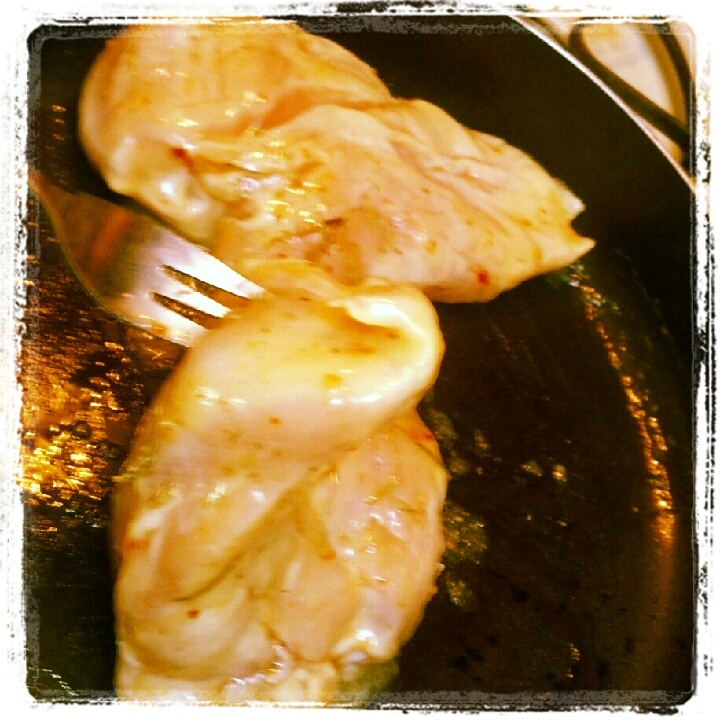 If you are, cook it the same day - too long in something highly acidic actually begins to cook the chicken. But not in a good way. I like to add dried herbs while marinating, but that's not necessary. 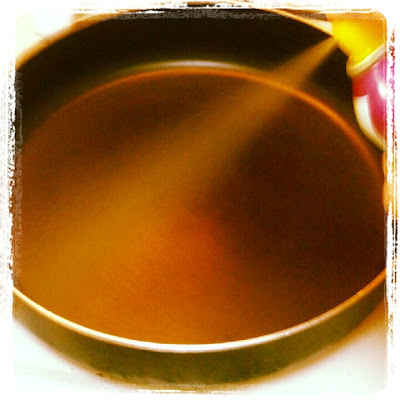 Then I heat a nonstick pan over medium-high heat, and spray with cooking spray. When the pan is hot, add the chicken, smooth side down. They fit in the pan nicely, don't they? Then, let them cook. This is the hard part, because you really don't want to mess with them until they are browned on the bottom. But it's tough to know if they are browned. You can check under one every so often, but truly - leave them alone as much as possible. This should take about 4 - 5 minutes. Once they are browned, turn them over and let them brown on the other side. By not messing with them. Do you sense a theme here? The second side should take another 4 - 5 minutes. 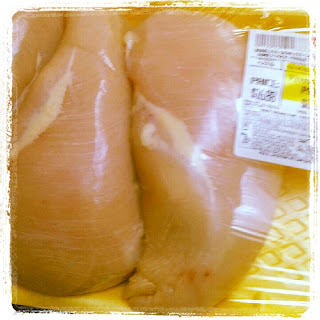 You will want to cook your chicken until the internal temperature is 160 degrees. Note - chicken should be cooked to a temperature of 165 degrees F. Remember that the meat will continue to cook after it's removed from the heat; the internal temperature will rise about 5-10 degrees in the first few minutes it's off the heat. I would use a thermometer until you have a sense of how firm a properly cooked chicken breast is. About 1 - 2 minutes before you take your chicken out of the pan, add a couple of tablespoons of white wine, lemon juice, red wine vinegar, or even water. This will impart additional flavor to the meat and allow you to use all the browned bits that have stuck to the pan. 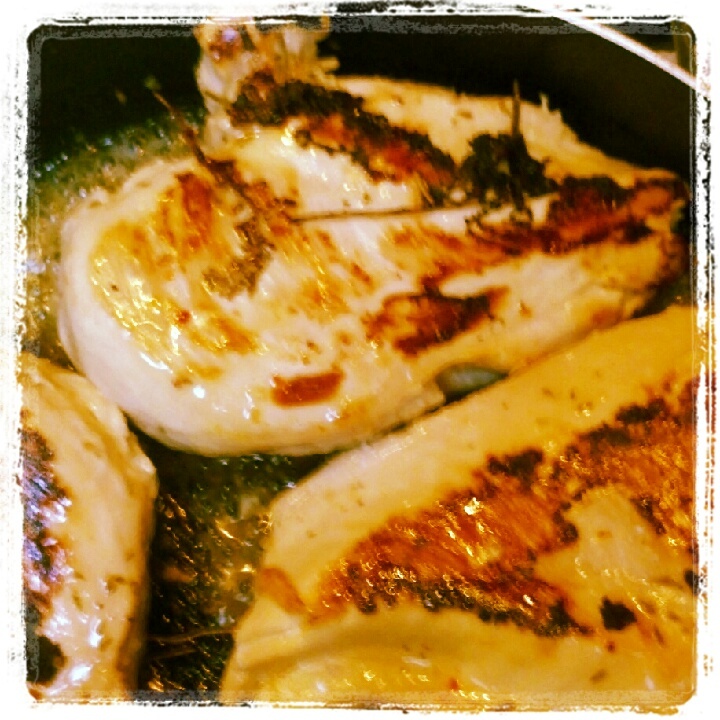 Move the chicken around a bit in the pan to coat them with the sauce made from the liquid. And you end up with this! Beautiful, perfectly cooked, moist, tender and tasty. This method allows for lots of opportunities for different flavors. Or if lemon chicken is really your favorite - stick to that. 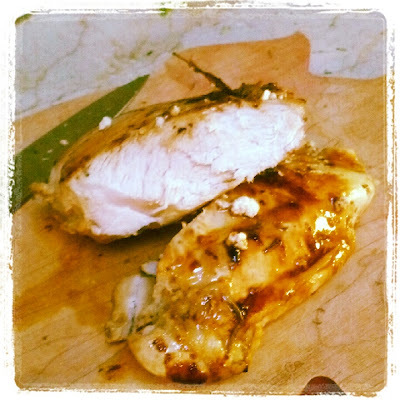 Check back next week to see how we use the crock pot with chicken - you won't want to miss it! 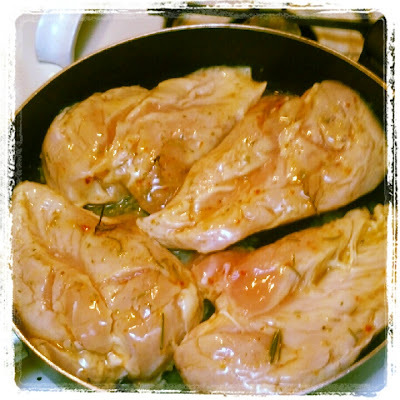 What is your favorite way to cook chicken? This post is great in reminding people of some stuff they know but probably don't follow. I'll try not to mess with them from now on! I found this via Simple Living with Diane Balch. I linked in a spicy and crunchy coleslaw. Cheers. Great post! We eat a LOT of chicken but I hate cooking it! Actually I hate cooking all meat ~ I always want to make sure it's totally done & then wind up with what my husband calls "chicken jerky". I pinned this to my chicken dinner board! Thanks again :) Found you through Foodie Friday!